It is time for another unboxing of Fresh Fiction Box Not to Miss! 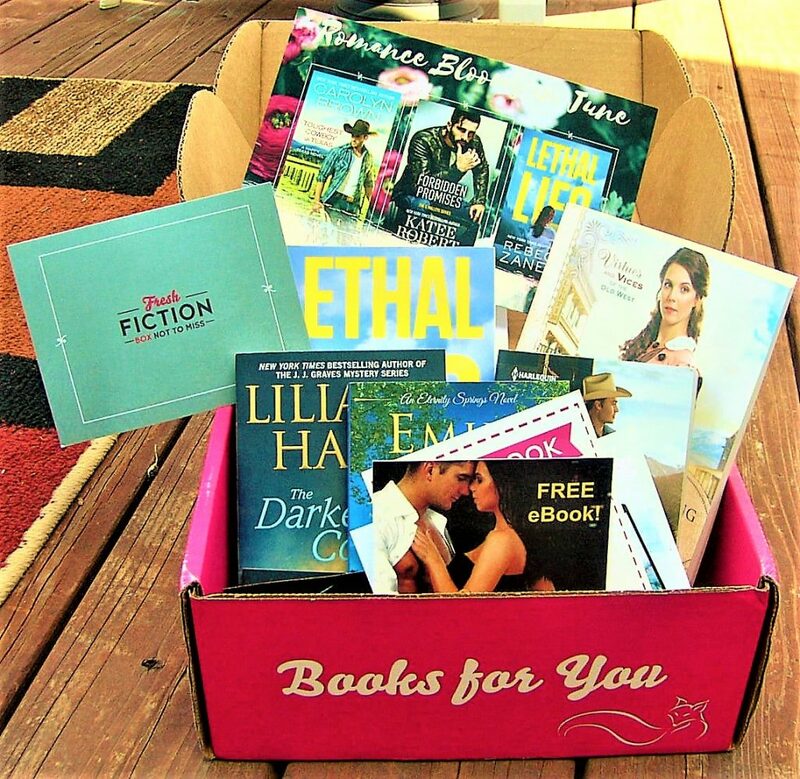 I love how this box brings you new novels in the romance, mystery, and suspense genres. Every book they send is unique and different from the others in the box, and it gives you a full month of books to read! I highly suggest it for those of you who like to keep up to date with new novels in these genres. When you sign up for Fresh Fiction Box Not to Miss, every month you will receive a box full of new print books, eBooks, and a Fresh Fiction keepsake. Fresh Fiction focuses on genre fiction, romance in particular. There will be the occasional mystery, erotica, and paranormal as well. 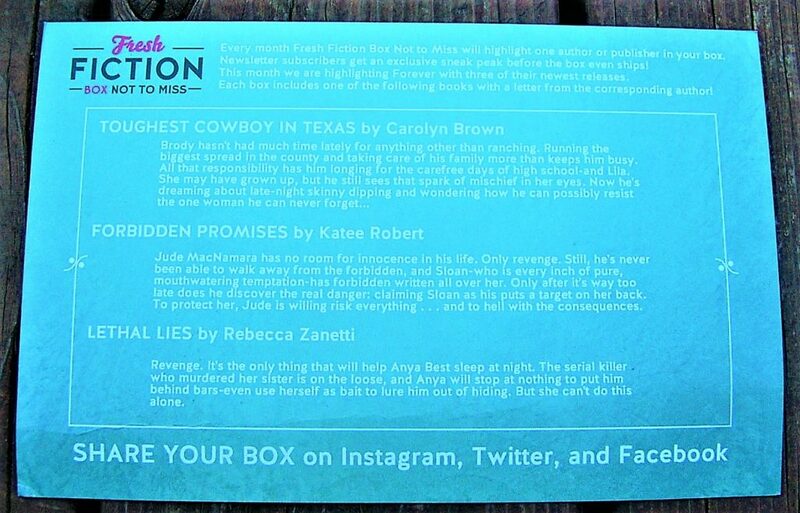 I am a huge fan of Fresh Fiction Box Not to Miss, so I was so excited when this box landed on my doorstep! The pink design with the iconic logo on the top makes this box pop! I love seeing its cheery presence at my door. The box instantly brightens my mood. Upon opening the box, you are greeted with the June content card! 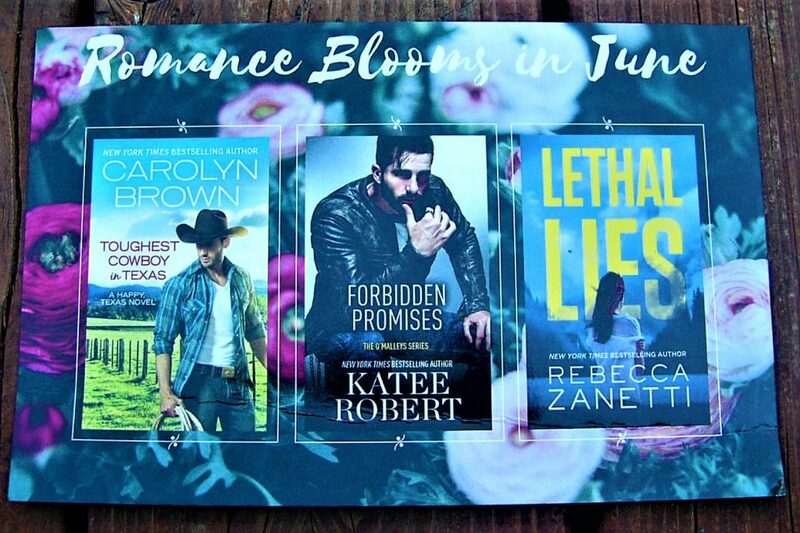 I love the Romance Blooming in June idea. You can never go wrong with a good summer romance! 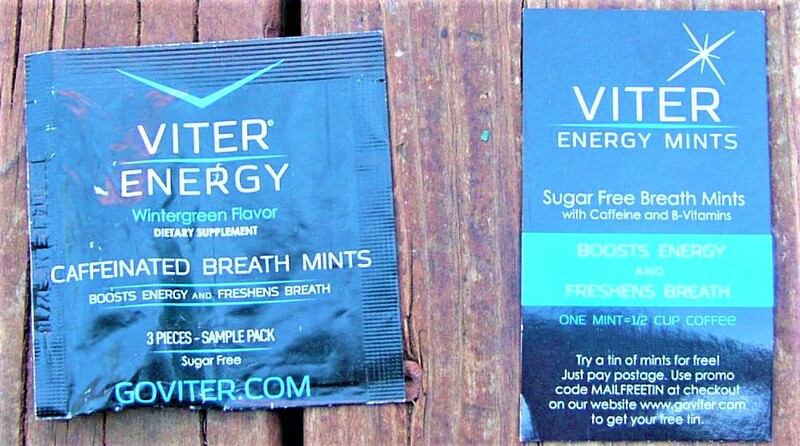 The first item in the box is this pack of Viter Energy Caffeinated Breath Mints. I had never seen these before receiving them in the box, so I was excited to try them out! They are very strong and they do give you a great burst of energy. I like how these breath mints are a comedic pairing with the romance novels in the box! 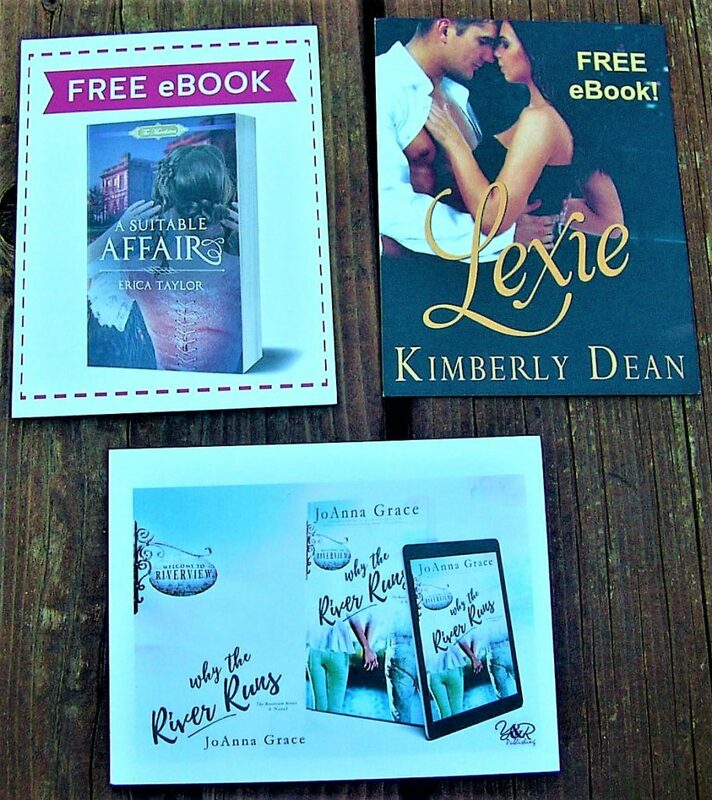 This month’s box features the publisher Forever! 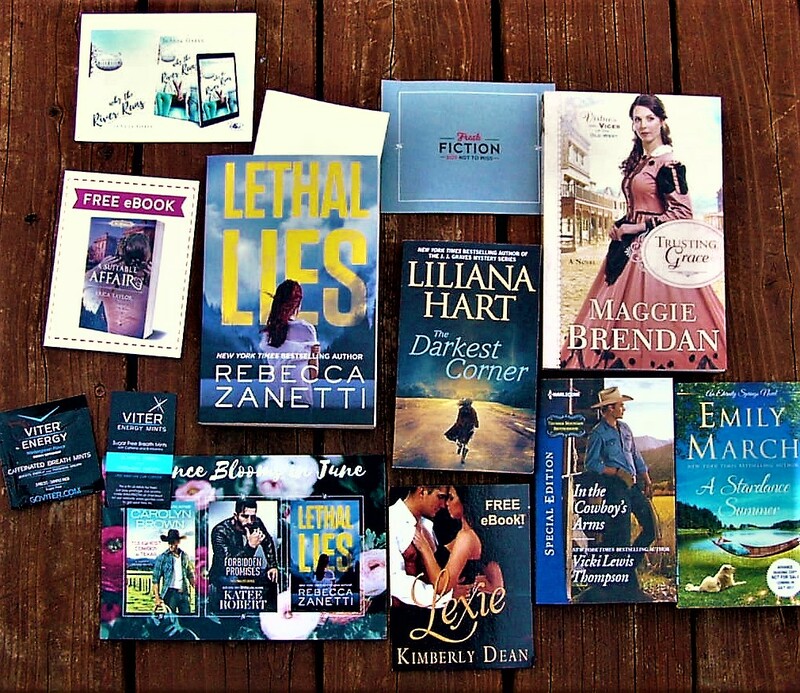 Fresh Fiction Box Not to Miss likes to focus on certain publishers or authors each month, so this month’s choices from Forever are highlighted on the insert card. Each box received one of these books with a letter from the author! Some call this river a taker of souls, a reaper. Sanguine is the Spanish word for blood and God knows plenty has been spilled in its murky depths. As Tina floats on her back, she couldn’t help but feel it’s more of an artery, giving life to its limbs. Tough as nails, Tina Foster, doesn’t have time for a relationship. She’s far too busy running her family construction company. Tina’s take charge attitude may intimidate some, but to others, she’s a rock, a woman with a plan. Taming a heart this strong will take a man up for a challenge, and so far, there haven’t been too many contenders worthy of her time. Bo Galloway is returning to Riverview after a rough few years. He’s home to take care of his grandmother and prays for a chance at redemption and a fresh start. Untrusting of most women, he doesn’t know what to think of his new boss. He definitely didn’t expect to admire Tina Foster. Bo’s only shot at getting Tina to notice him is to be as strong as she is. Just like the waters of the Sanguine, Bo and Tina must find their flow. Will the waters sweep away their only chance at true love, or nourish a relationship as steady as the river itself? Desire is a double-edged dance. When the Earl’s horse almost tramples Susanna in the middle of Hyde Park, Ian embraces the chance encounter as a possibility for redemption, for Susanna’s soon-to-be fiancé is the man Ian holds responsible for the death of his sister. Can this damaged lord hope to absolve the guilt he feels for failing his beloved sister by saving this vibrant, and unsuspecting lady from a similar fate? And will this charity-minded well-bred lady, who is not the perfectly bound book as Ian assumes, be willing to take a chance on the unstable earl when something more dignified and permanent is well within reach? I always love bringing ebooks with me on my Kindle when I travel, so I can’t wait to sink my teeth into these picks! 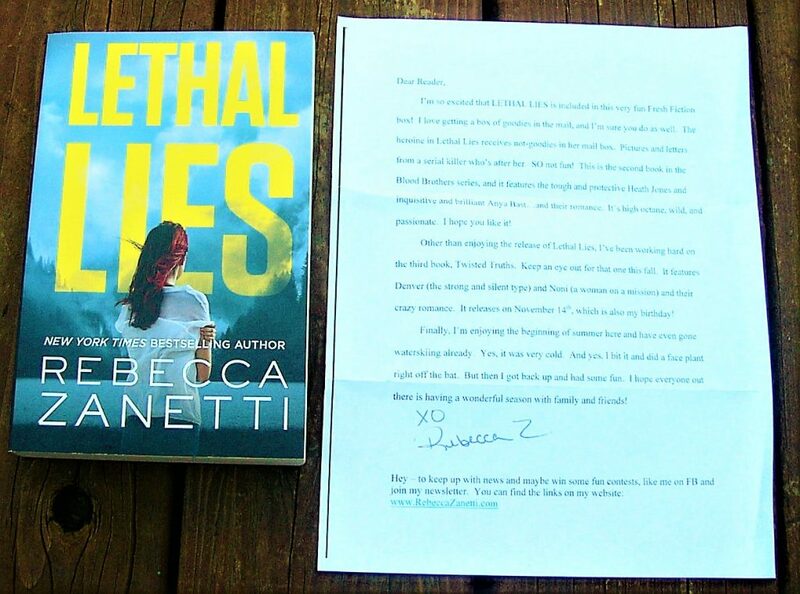 The main book that I received is Lethal Lies by Rebecca Zanetti! The book also came with a letter from the author, which I LOVE! Revenge. It’s the only thing that will help Anya Best sleep at night. The serial killer who murdered her sister is on the loose, and Anya will stop at nothing to put him behind bars, even use herself as bait to lure him out of hiding. But she can’t do this alone. 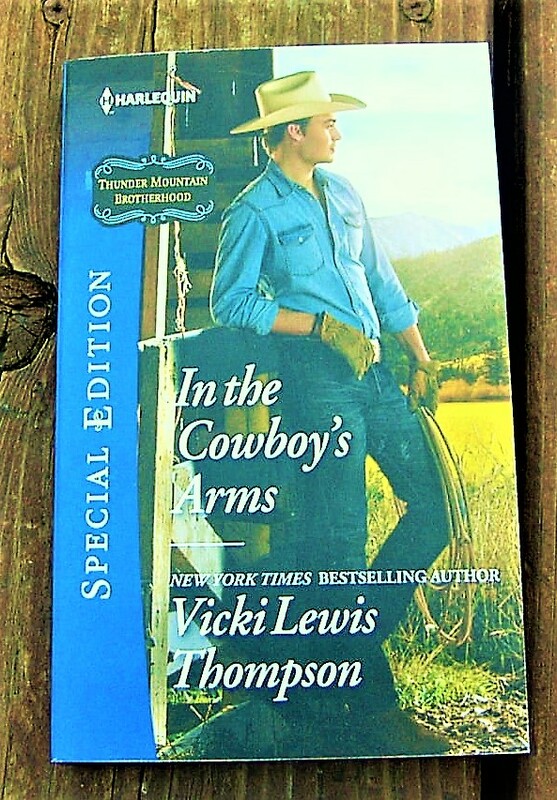 The next book is In the Cowboy’s Arms by Vicki Lewis Thompson. This is a Harlequin Special Edition novel, and I can’t wait to read it! 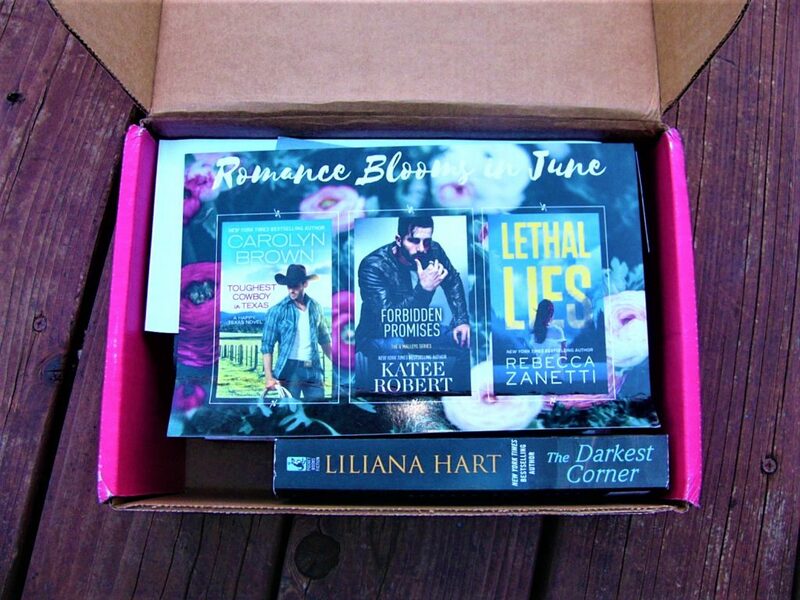 Cowboy romances are always my favorite, so I love that Fresh Fiction Box Not to Miss included this novel this month. Matt Forrest was born to be an actor but grew up a cowboy. That’s why, when things go haywire after he shoots his first Hollywood movie, he retreats to Thunder Mountain Ranch. Because it’s home—where his parents and foster brothers can help Matt find what he really wants out of life. So when someone he wants follows him to Wyoming, things get very interesting! PR agent Geena Lysander isn’t about to lose one of her best new clients—so she goes after him! And, yes, it’s complicated…because she is attracted to Matt, and not just for his movie-star looks. As she gets to know the man behind the cowboy, their professional relationship becomes passionately personal. Could Matt’s next big role be as Geena’s leading man? 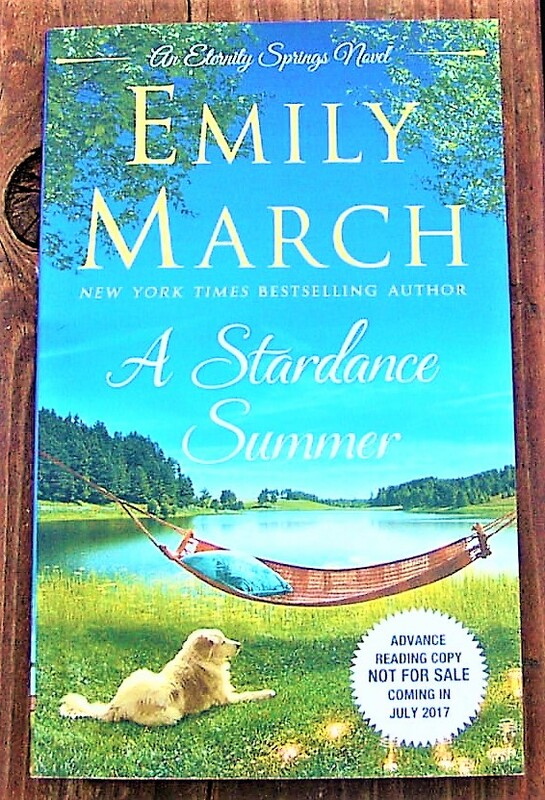 The next item is an ARC (advanced reading copy) of A Stardance Summer by Emily March! I am an avid collector of ARC’s so I was very excited to read this book. I think it is cool that Fresh Fiction Box Not to Miss is able to send readers books before they are released to everyone else! Brick Callahan enjoys every minute of chaos at his campground, Stardance Ranch, especially after the Tornado Alleycats arrive for an extended summer stay. The members of the all-female glamorous camping club are primarily seniors―active and adventurous, friendly and fun. But when he discovers Liliana Howe frolicking with the glamping grannies in a late night skinny-dipping session, he fears he’s in for a summer of trouble. Because his best friend’s kid sister has grown up to be drop-dead gorgeous. Here is the next book in the box. 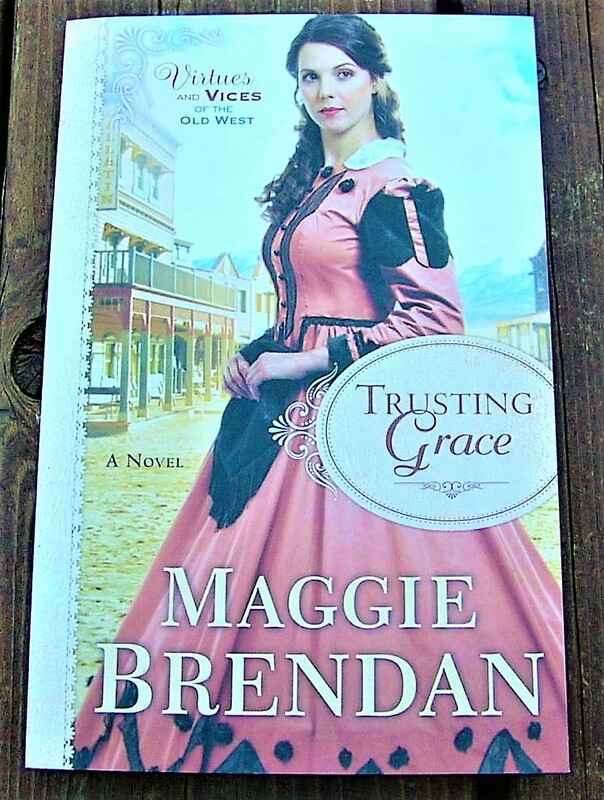 I am an avid reader of old west novels, so I was so excited to see that Trusting Grace by Maggie Brendan was included in this box! Readers will be swept away into 1860s Montana’s lush Gallatin Valley, nestled among towering mountains and proud pines, in this emotional conclusion to the Virtues and Vices of the Old West series. 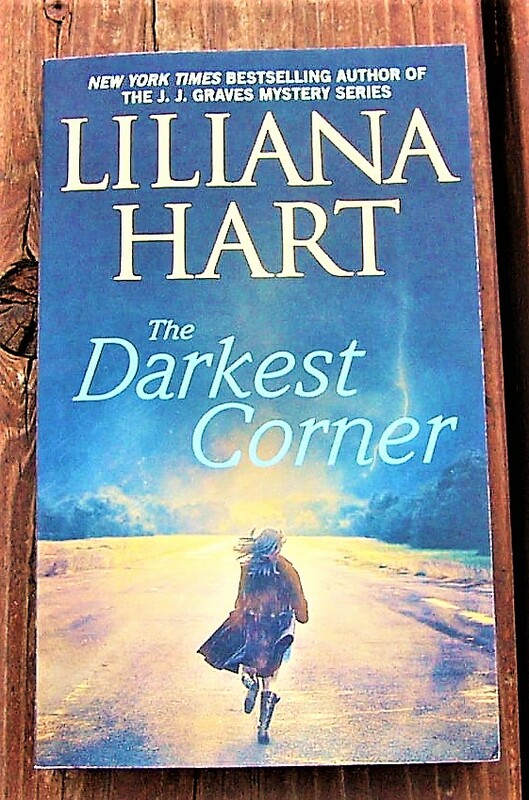 The last book included is The Darkest Corner by Liliana Hart! I love how different this book is from the others. All of the books are so diverse, and it gives the reader a variety of choices to read. 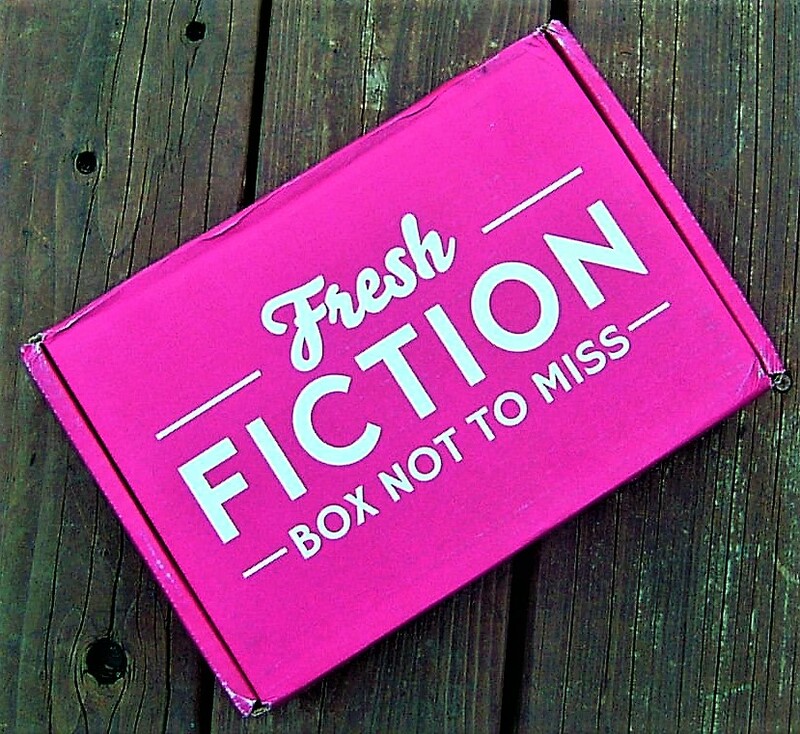 Final Thought: Fresh Fiction Box Not to Miss is a great box to bring you new romance, mystery and assorted books in various genres. The book choices are always diverse, and I love how the box brings you enough books to fill up your month! 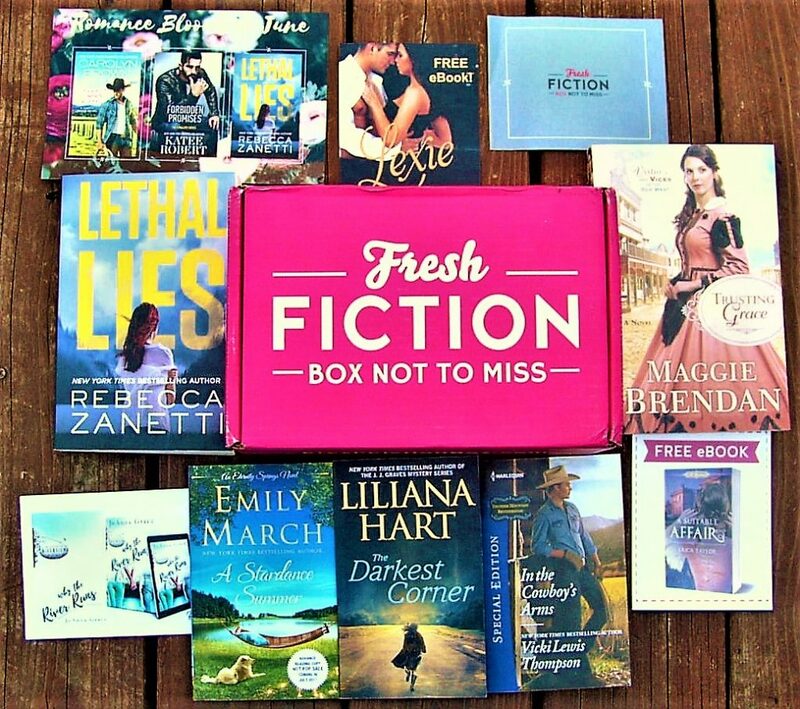 If you are a fan of new romance, suspense, and mystery novels, then Fresh Fiction Box Not to Miss really IS a box that you cannot miss! *NOTE: Peachy Keen Reviews received this box to review.